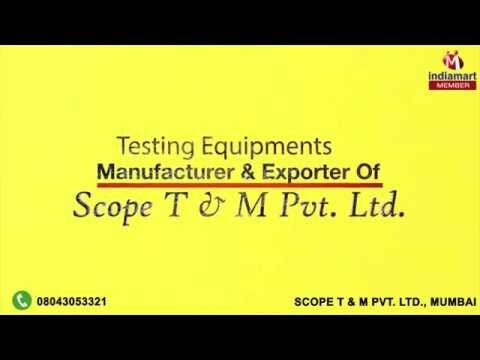 Welcome to Scope T & M Pvt Ltd, established in the year 1988, we are one of the leading manufacturers and suppliers of Industrial Testing & Measurement and Allied Devices. We offer a wide range of products such as Leakage Current Analyzer for Surge Arrestor-LA, Circuit Breaker Analyzers and Contact Resistance Micro-ohm Meters. Owing to their rich features such as easy operation, minimum maintenance, longer serving life, compact design and high functionality, these measurement and allied devices are highly demanded in the market. The offered devices are widely used in various industrial applications for circuit breaker testing, transformer testing, relay testing and surge arrestor (la) testing purposes. We follow transparency in all the business dealings, customer centric approach and ethical business polices.